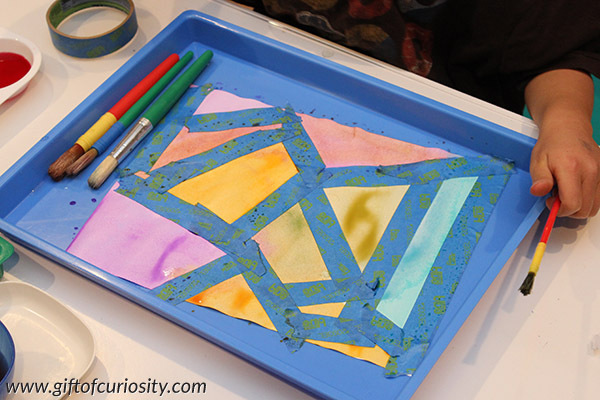 Tape resist watercolor painting is a very classic art project for young kids. 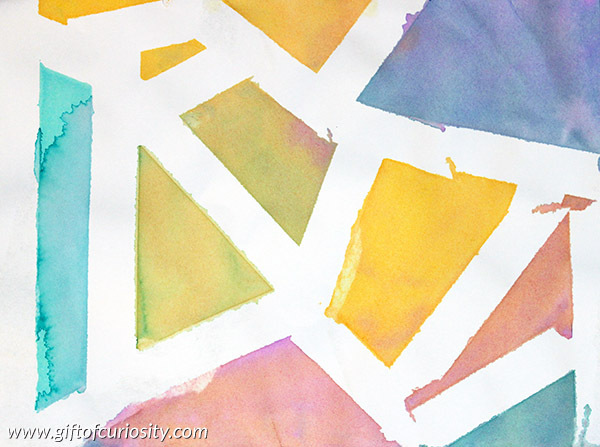 My kids and I recently had the opportunity to create our own tape resist watercolor paintings following a multi-step process I outline below. 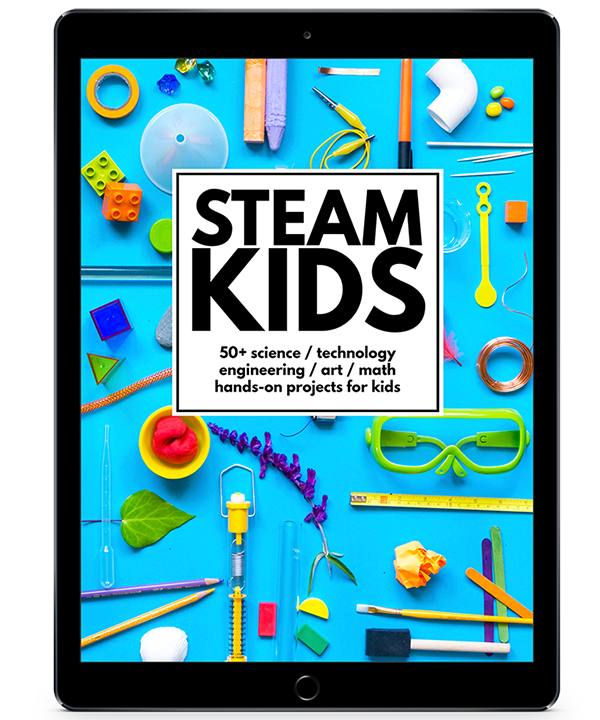 Note: For more art projects your kids will enjoy, see my Arts and Crafts for Kids page. 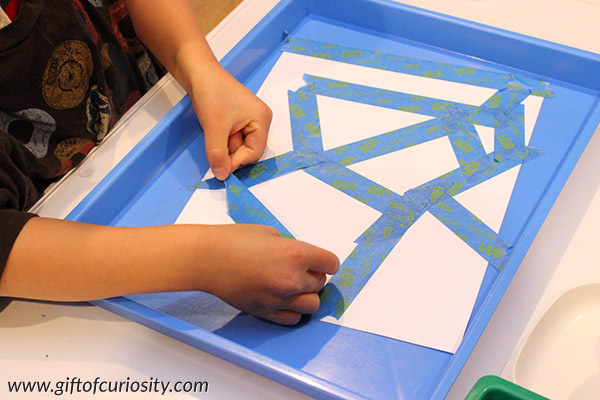 The first step is to place tape on your paper. 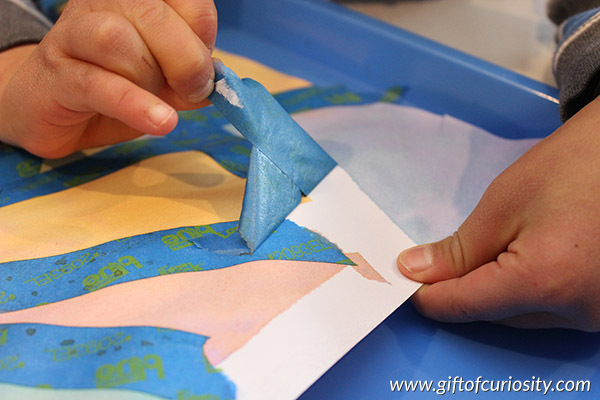 You can use the tape to make any design you want. The key is to remember that the areas under the tape will remain paint-free. 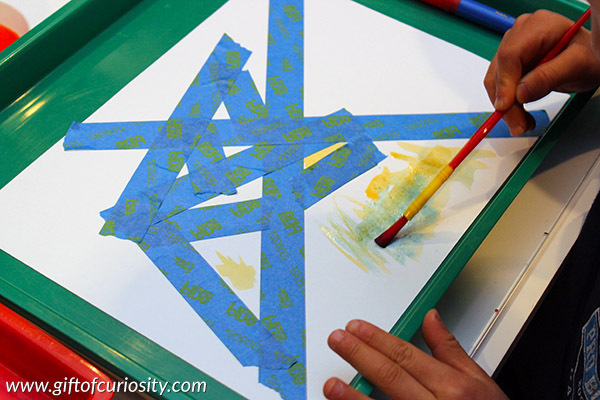 Once your tape is in place, use your watercolors to paint! 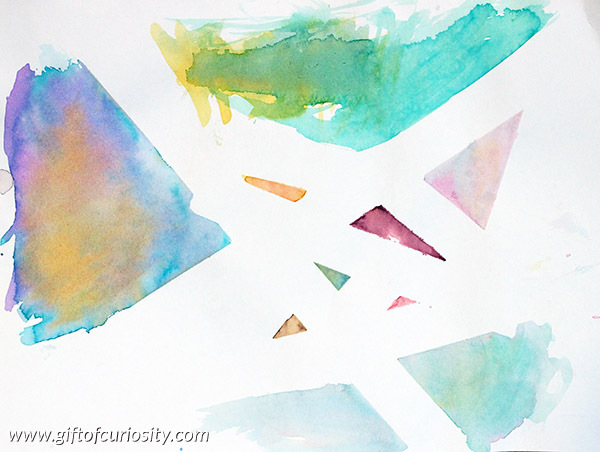 When you are finished painting, it’s time to let the paper dry. 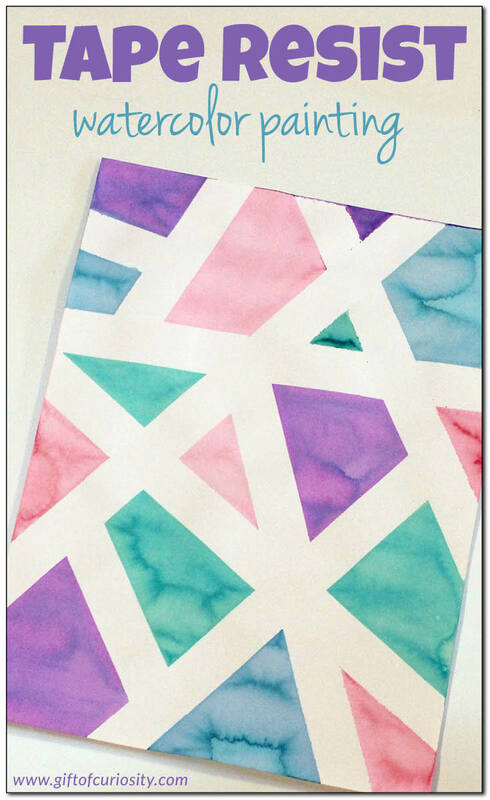 Then you can admire your tape resist watercolor painting! And here is XGirl’s masterpiece.